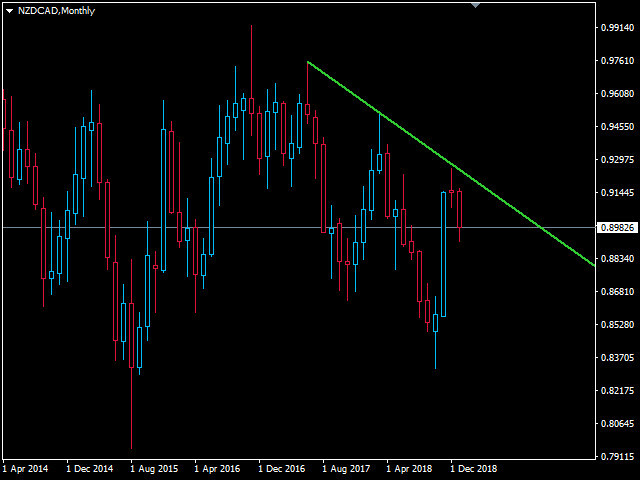 Trendlines are the most essential tool of technical analysis in forex trading. Unfortunately, most traders don’t draw them correctly. 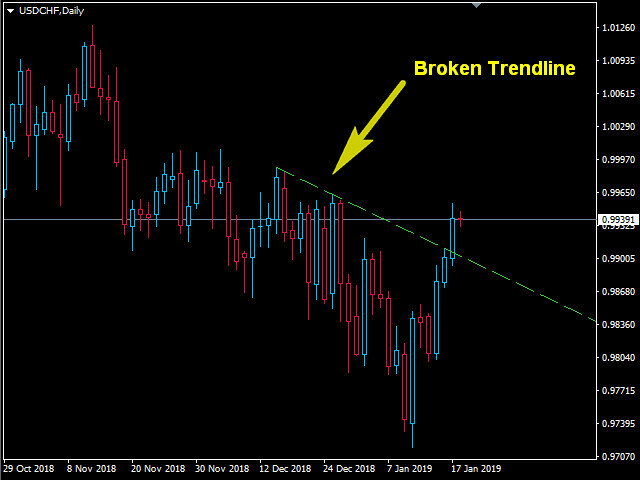 Automated Trendlines indicator is a professional tool for serious traders that help you visualize the trending movement of the markets. 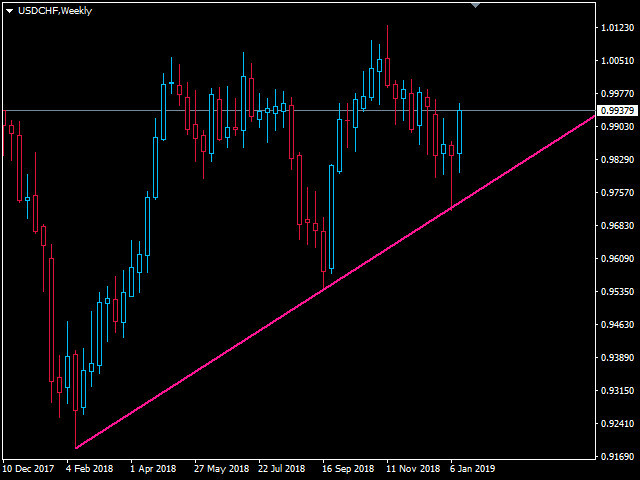 There are two types of Trendlines Bullish Trendlines and Bearish Trendlines. 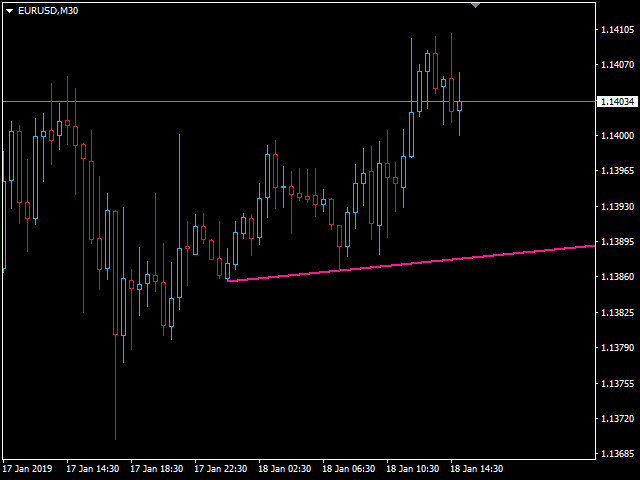 In the uptrend, Forex trend line is drawn through the lowest swing-points of the price move. Connecting at least two "lowest lows" will create a trend line. In the down trend, trend line is drawn through the highest swing-points of the price move. Connecting at least two "highest highs" will create a trend line. A bullish trendline breaks when a bearish candle closes below bullish trendline and the high of the candle is above trendline. 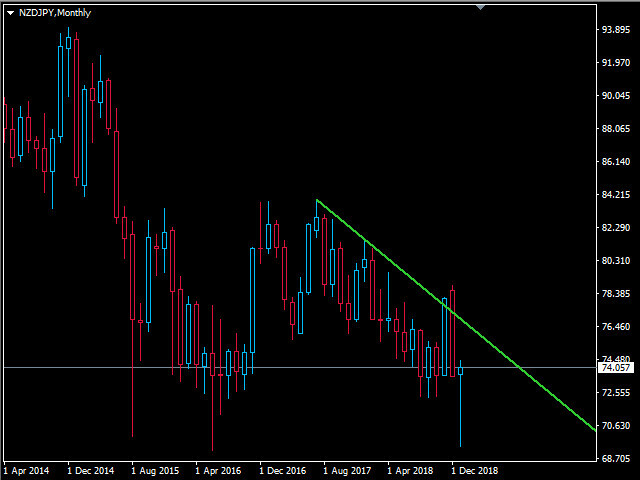 A bearish trendline breaks when a bullish candle closes above bearish trendline and the low of the candle is below trendline. 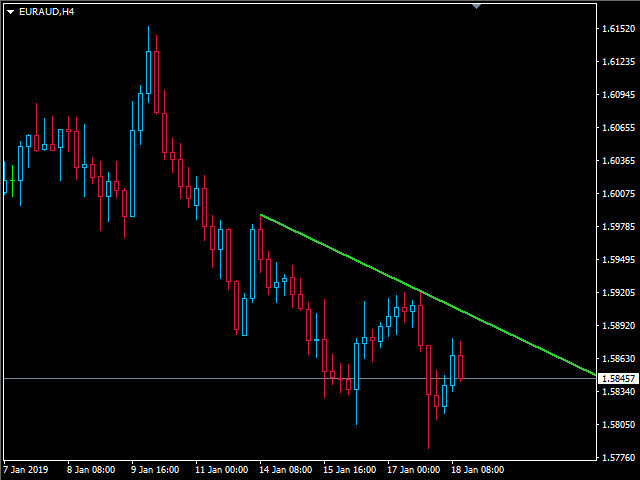 A bullish trendline deletes when a full candle forms below bullish trendline. 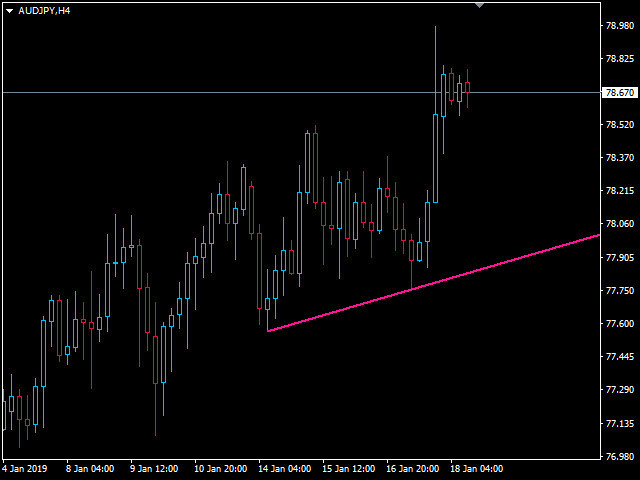 A bearish trendline deletes when a full candle forms above bearish trendline. 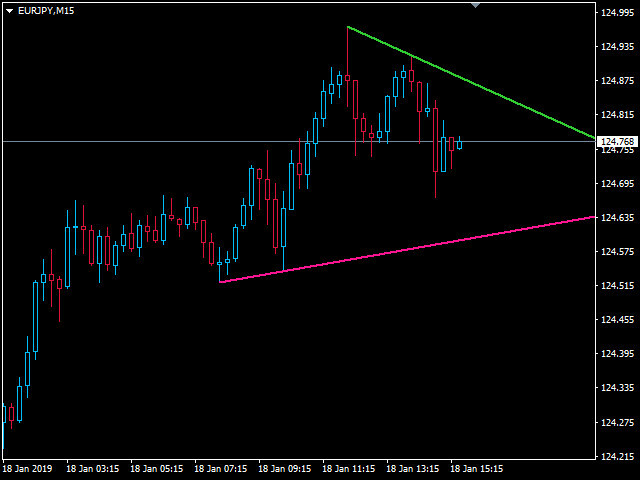 You can change the color and width of Bullish and Bearish trendlines from input parameters.